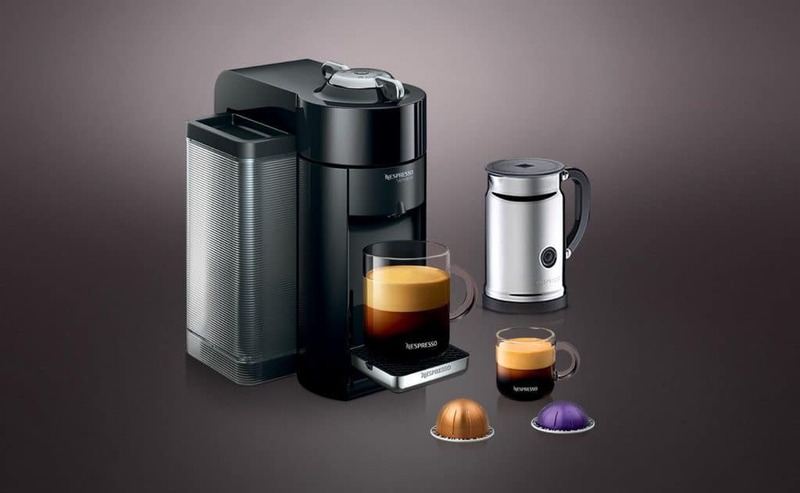 If you’re a latte lover and drink them several times per week, you may be wondering what the best Nespresso machines for latte lovers are. Making your own lattes will save you money in the long run. You may even save a little time if your usual coffee stop typically involves waiting in line. 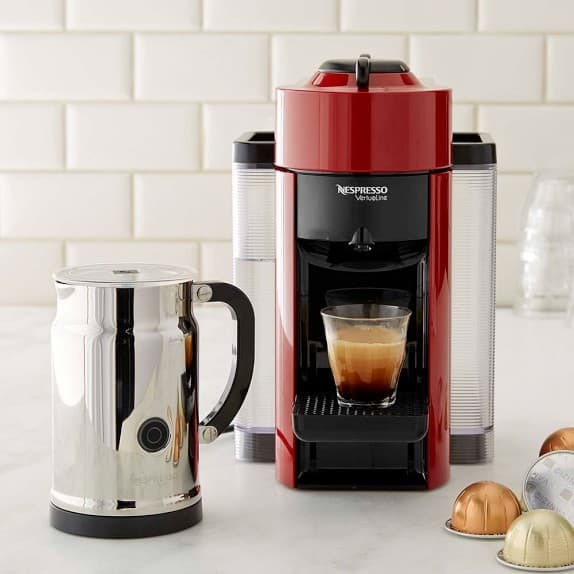 Here are the top coffee machines by Nespresso for people who want to get their coffee fix at home but want something fancier than a regular cup of joe. 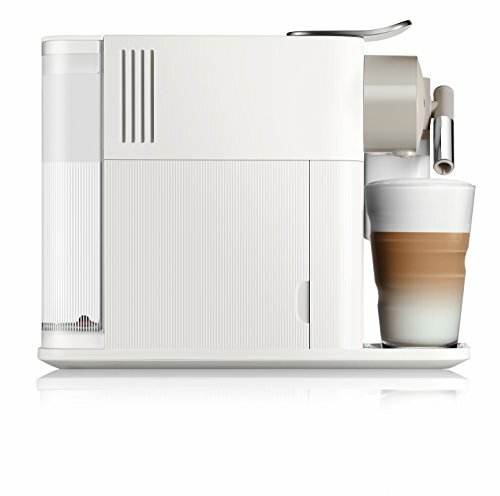 The Lattissima One is a low-profile, all-in-one machine that can create plain espresso, lattes, or cappuccinos. It comes in Silky White or Warm Slate, so it should match the majority of kitchens. Both are neutral tones. Expect to pay around $380.00 for this model, though you can sometimes find it for less than that on Amazon. One of the perks of this type is the built-in milk jug that froths it directly into your cup. There’s no separate frother to manage or store. It’s all in one machine, but the milk jug can come off and get tossed into the dishwasher. This is a low-maintenance machine. This is quite the step up from the Lattissima One, and the $600.00 price tag reflects it (you can probably get it for less if you shop around). What do you get with this one? A bigger machine (just by a little), at 7.6” W x 13” D x 10.8” H.
The color availability (or lack thereof) is one potential con to this one. You can only get it in silver. 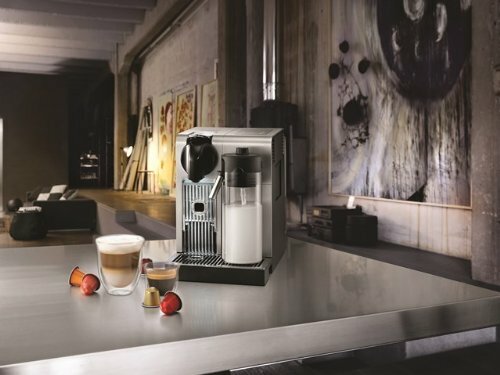 A look at the Nespresso site may lead you to believe this is only available in one color, for about $400.00. However, Amazon has it for a lower price and in four colors: black, white, red, and silver. This one’s a little different from the rest because it has a steam wand for frothing milk. You’ll still need a separate jug (included) to hold the milk while you work and it’s not as simple as a push of a button to make a latte. Heating and frothing milk this way may sound like a step back for a lot of latte lovers. However, this will give you more control and room to play. Want more or less foam? To practice your latte art? This model will allow you to do just that. 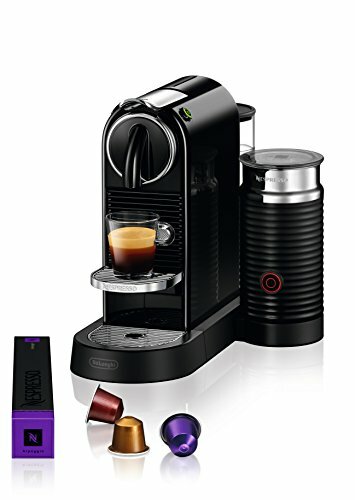 If you’re looking for the best Nespresso machines for latte lovers who are also big on convenience and a hands-off approach, this one isn’t it. For the group of coffee lovers who want to learn to craft Instagram-worthy beverages (whether they actually take and post pictures or not), this one is a winner. That frothing wand? Yeah, it’s self-cleaning. There are some differences between the Creatista and the Creatista Plus, but they aren’t as drastic as you might think. You can choose from 11 milk temperatures with the Creatista Plus but only three with the Creatista model. If the all-stainless look is the one for you, you’ll have to go with the Plus model. The original Creatista just has stainless on the front and the sides are colored (Champagne or Black). As you can probably guess by the names, the Plus model costs a bit more. Expect about a $500.00 cost for the original and $600.00 for the Plus. Here’s an option that lets you keep your milk frother separate from the espresso maker itself. It’s one of the less expensive options at around $300.00 (shopping around could get you a better price than that). It comes in four colors: Chrome, Cherry Red, Milk White, and Limousine Black. Its retro-inspired, yet still modern, design will win over a lot of people based on aesthetics alone. 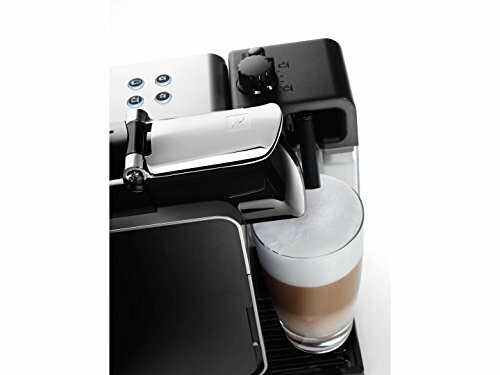 The integrated Aeroccino is black and will heat and froth milk for your lattes. The drip tray removes so you can put your cup in there for lattes without any trouble. The machine heats up and is ready to go in 25 seconds or less. Like other models, it shuts off after nine minutes of inactivity. No worries about whether you left the machine on or not after you’re well on your way to work. There is an updated model of this one, but you can still find the older, discontinued model. There’s not an especially large gap in the price, though. You’ll pay about $25.00 less for the older model on Amazon. 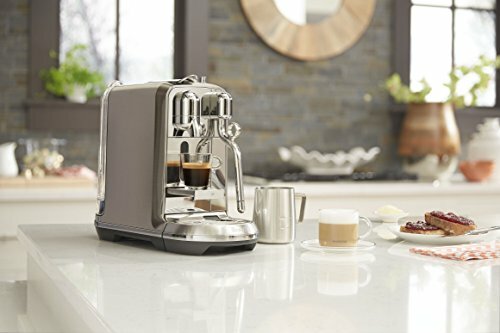 The Evoluo bundle doesn’t do it all with the touch of a button, but you can easily make your lattes with it because the Evoluo machine comes with an Aeroccino milk frother. Expect to pay around $250.00 for the set. Keep in mind that you’ll need to look for the bundle in particular since the Evoluo on its own won’t froth milk. That part, you can do with the touch of a button. The machine scans the label and works its magic. Then you just pour the milk from the frother into your cup. It takes 20 seconds or less to heat up and get ready to go. The removable water tank holds 54 ounces of water. It shuts off automatically after nine minutes of inactivity. It’ll hold 17 empty large capsules before you have to clear it out. Is the frother separate? Do you have a strong preference either way? Do you like the idea of a bundle or is the machine going to meet your needs by itself? What else do you need the machine to do? Or do you only drink lattes?